I relocated from Manhattan, NY to Dr. Phillips in 2005 and am proud to have raised my two children here in this wonderful community. That being said, I would be more than happy to show you around town as we search for your home sweet home. But what an odd name for a town, you may be thinking. Well, the story of this town’s name is explained by its very interesting history. Philip Phillips was born on January 27, 1874, in Memphis, Tennessee and attended Columbia University where he was awarded a medical degree. In 1902 he purchased land in Osceola County. This was the beginning of a citrus empire spanning several counties, with more than 5,000 acres of citrus groves and two packing houses. In 1905, Dr. P. Phillips purchased a grove on the south side of Sand Lake in Orange County. 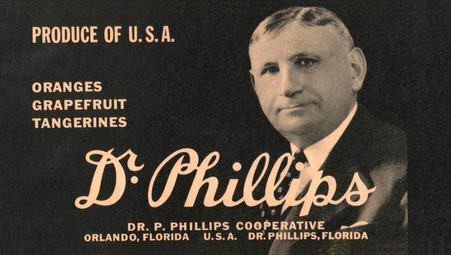 Dr. P. Phillips was known for the many innovations that his company incorporated in the packaging and processing of orange juice. Creating a patented innovation called “flash” pasteurization, he was the first to successfully can juice without the metallic taste that was the hallmark of earlier canning processes. He later sold his company to Minute Maid in 1954 for $50 million. 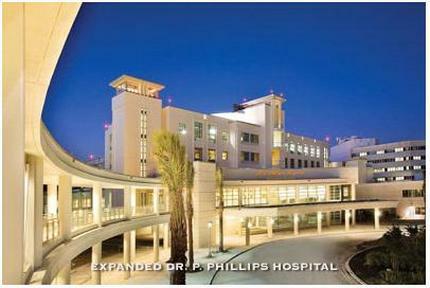 Dr. Philip Phillips and his wife, Della, settled in Orlando where they raised their family and established their reputation for philanthropy. During their marriage of 58 years, Dr. and Mrs. Phillips raised two sons, built a successful citrus and commercial real estate business and contributed significant time, talent and resources to the Orlando community. These two distinct funding organizations are well known in Central Florida for their grant support to worthy capital projects and innovative programs of charities that address critical community needs, demonstrate the potential for ongoing community support, and have a significant, lasting impact on the community. The town of Dr. Phillips is now the name of the affluent Orlando suburb that borders Universal Studios on one side and is close enough to Walt Disney World to see the Magic Kingdom’s nightly fireworks. Dr. Phillips is also home to “Restaurant Row,” named for the grand number of upscale eateries on Sand Lake Road. In 2015, the Dr. Phillips area was named one of the most best places to live in America by a report in Time’s Money Magazine. The report considered towns with populations between 10,000 and 50,000 people, then eliminated towns with poor education scores, high poverty rates and other factors that would compromise the quality of life there. In addition to top-notch local schools, beautiful chains of lakes dot the area, providing ample opportunities for fishing, boating, and nearly year-round swimming. Golfers can take lessons at Arnold Palmer’s Bay Hill Club or play one of the region’s other 140 courses.